Purchase gift certificates or gift cards to attend our dinner show! They are the perfect gift to give any time of the year or for any special occasion. The price includes the show, dinner, dessert, all you can drink & more! The recipient can book their own reservation at any date. Be sure to include the entire family! All ages love Capone's Dinner & Show and our gift certificates are a perfect gift for all. New! Check out our recently added NEW products! 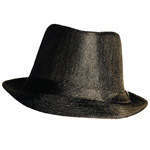 Looking for Al Capone themed merchandise? 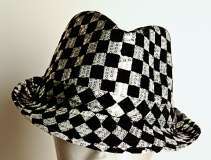 Our gift shop has many T-shirts, mugs, glassware, boas, fedoras, gangster hats, flapper head dresses, shot glasses, prints, photos and more great gifts for your gang. 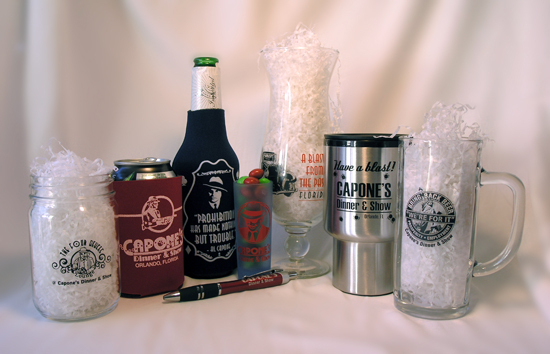 These items are great for any fan of Al Capone and the Prohibition Era. Plan to spend some time before or after the show to pick out something for yourself! Maybe you'd like to pick up some great Orlando souvenirs at incredibly low prices. 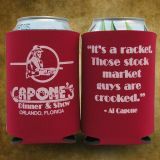 Capone's Dinner & Show offers a large variety of gifts that are true bargains! 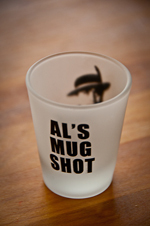 We offer affordable T-shirts, mugs, lots of beautiful glassware, including collectible shot glasses and etched wine glasses. Our inventory is priced to sell. Stop by our location any time during the day to pick up some bargains! From shot glasses to T-shirts, we have all of our popular logo merchandise ready for you to pick up before the show starts or after the show. Guests often want to take home a souvenir to remember the fun times. We offer a huge assortment of gifts starting at under $1! Make sure you get something for everyone on your list. At these prices, you can afford to! 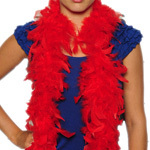 Hosting or attending a costume party? 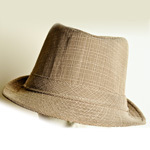 We have fedoras, boas and many other accessories to highlight your outfit. Get into the era and have some fun. These cheap gifts allow you to purchase something for everyone invited! Coming to the show? Dress the part! Pre-order your custume accessories and have a blast! 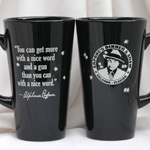 Are you a fan of Al Capone? 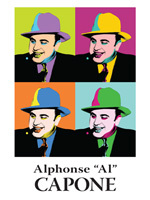 Our gift shop offers a select number of products featuring Al Capone without our dinner show branding. 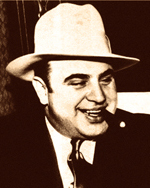 Join the family and team up with our all-star Al Capone gang. 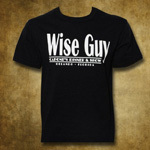 We have some fun shirts and mugs that reflect that "gangster" in all of us! Choose from posters, T-shirts, mugs, hats and more. Collect this often-treasured memorabilia. 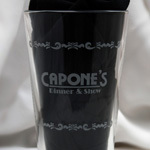 Whether you're dressing up for a 1920's or 1930's costume party, decorating your den or rec room with Al Capone memorabilia, or on vacation and have lots of gifts to take home, you can't do better than Capone's Dinner & Show Gift Shop, just south of Orlando in Kissimmee. 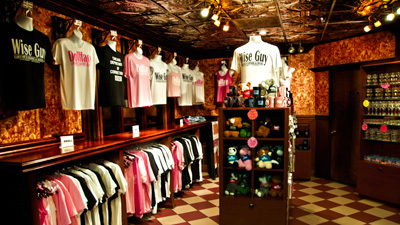 Our gift shop is open from 9am to 10pm daily within our Kissimmee theatre. For directions, visit our location page. 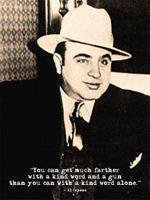 Al Capone has been quoted as saying the following quotes. You'll find them printed on some of the items we sell in our gift shop. "It's a racket. Those stock market guys are crooked." "Now I know why tigers eat their young." "You can get more with a nice word and a gun than you can with a nice word."